Sahalee Park will be the scene of hands-on fun activities for kids this Saturday. 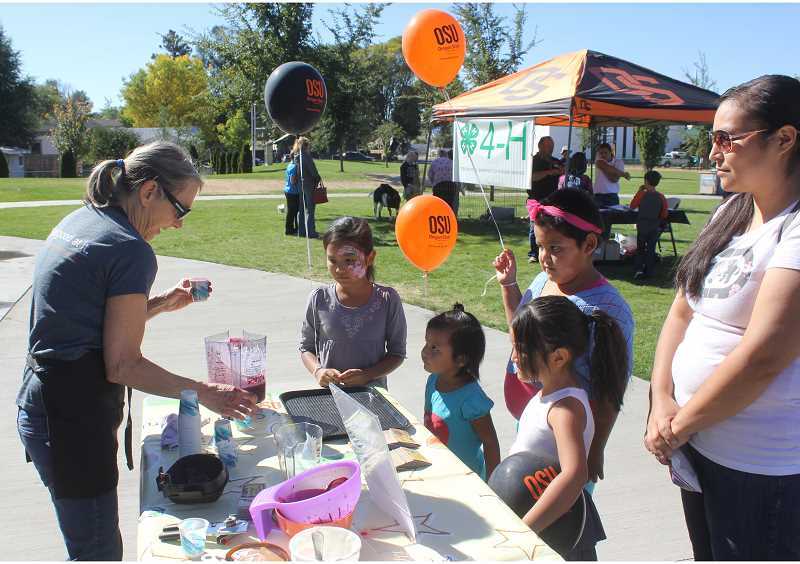 The community is invited to the second annual Oregon State University Extension Community Celebration, on Saturday, Sept. 16, from 11 a.m. to 3 p.m., at Sahalee Park, in Madras. The Community Day Celebration is free and fun family event, sponsored by the Jefferson County Extension Program. Activities for the day will include live music by Tony Lundervold from 1-3 p.m., a small petting zoo, face painting by Fabulous Faces from 11 a.m. to 3 p.m., hands-on learning activities, educational presentations and demonstrations, and much more. A free baked potato bar lunch will also be served from 11:30 a.m. to 1 p.m., or while supplies last.